Whether you're playing a hero or a villain, every role brings an actor its own unique set of challenges. But how do you play a hero who is also a villain? In Stephen Sondheim's Sweeney Todd: The Demon Barber of Fleet Street, the main character is a wrongly imprisoned man who seeks revenge once he's back out in the world, and effectively becomes a serial killer. According to actor Kevin Earley (above right, with Anne Tolpegin as Mrs. Lovett), who stars as Sweeney Todd in Pioneer Theatre Co.'s production, the key to playing such a villain is that "you try to figure out what they want, and what they're willing to do to get it. Any hero has the same elements. ... [Todd]'s been dealt such a horrible hand, he sees a lot of the world as corrupt. It's a grim view on life, but 15 years in prison will do that to a person." There was a time in the history of Salt Lake City, before the rise of suburban malls and the ubiquity of Amazon, when going shopping for anything other than groceries meant going downtown, most likely to either ZCMI or Auerbach's department stores. Everything anyone could ever need, particularly when it came to clothes, could be found in one building, as the term "niche" had not yet become associated with retail sales. It's easy to understand why ZCMI—Zion's Cooperative Mercantile Institution—was popular in Utah, since it was founded by Brigham Young. 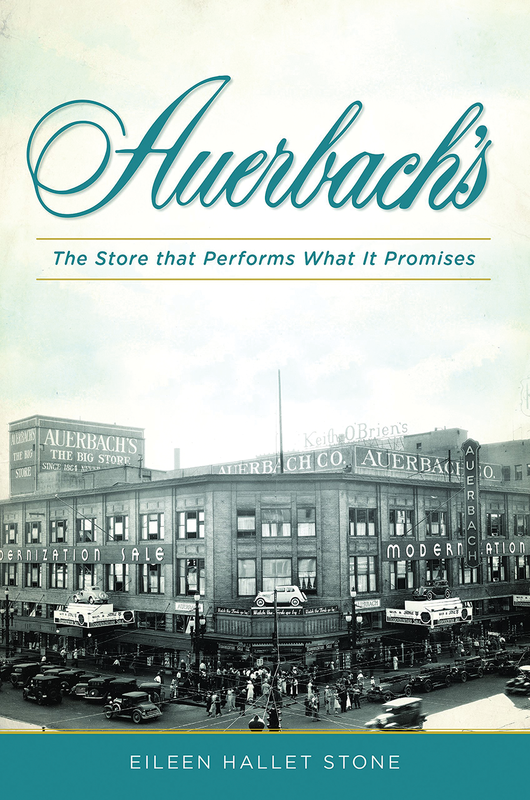 The presence of Auerbach's is part of a different, and much more surprising, story. In the 19th century, three Jewish brothers somehow decided that Mormon-dominated Salt Lake City would be the perfect place for them to open a retail business. 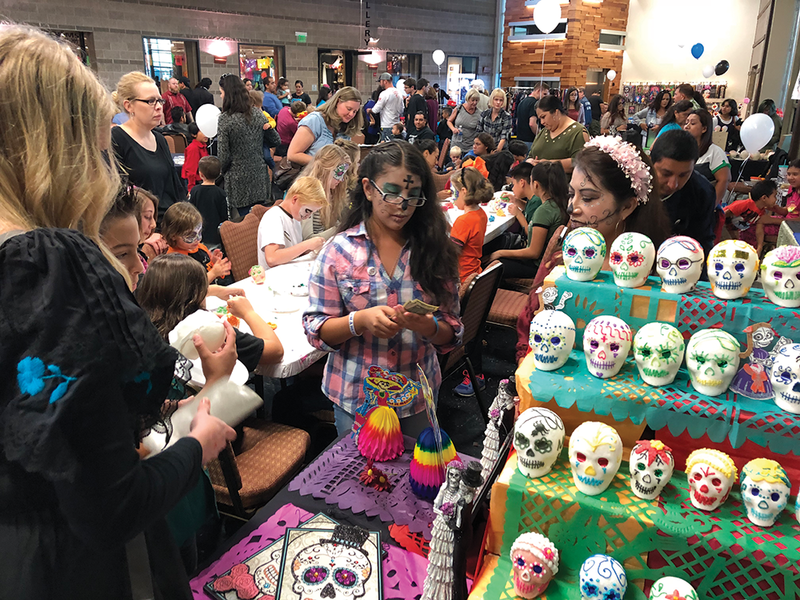 For the 15th year, West Valley City's Utah Cultural Celebration Center hosts a Day of the Dead Celebration, recognizing the Latin American Día de los Muertos tradition. But while this event originates in one culture, it has come to be embraced by a far more expansive population, with an annual attendance of approximately 3,500 visitors. "Especially as Day of the Dead has expanded in popular culture"—including last year's hit animated film Coco—"people have more of an understanding of its cultural significance," Taylor Timmerman, development coordinator for UCCC, says. "We see people from all cultural backgrounds attending." The full day of activities includes vendors selling traditional Day of the Dead food, arts and crafts; a beer garden for adults; live music and dance performances; family-friendly games; and participatory craft activities for all ages, including decorating sugar skulls and making buttons and bracelets. The Saturday event also occurs in conjunction with an ongoing gallery exhibition of community ofrenda altars and authentic art honoring the celebration. A performance from Lord of the Dance—choreographer Michael Flatley's ever popular interpretation of traditional Irish step-dancing—ought to come with a warning: "Don't try this at home." Indeed, any attempt to emulate the lively, limber performers will likely end one of two ways: You'll either pull your groin muscle, or fall flat on your face. While it might prove entertaining—not so much for you as for those around you—it's unlikely you'll ever be as graceful as the dancers who dazzle audiences worldwide. That cautionary message is more relevant given that the latest installment of Flatley's spectacular stage show is named Dangerous Games. As if the title isn't auspicious enough, the high-stepping cast members are now augmented by dancing robots, acrobats, dazzling technology, a giant flat screen and new modern musical score. Amateurs could easily become distracted, but audiences will certainly be enthralled. Even with all the enhancements, some things remain the same. Accentuating the show's display of Celtic culture is the heightened drama of a modern musical. It also retains a reverence for proven plot devices, folk-art origins aside: Dangerous Games' narrative is spun around that age-old struggle between good and evil.